Taking a few days off to hang out with Skyler for Spring Break. This year we are taking it extremely easy and just hanging around the house. A bit different than the old days of South Padre Island mega crazy trips. 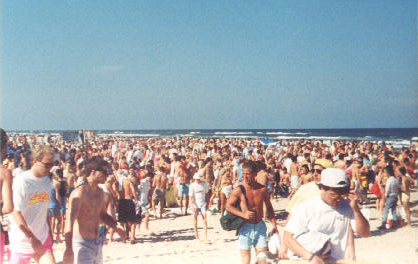 Here is a picture of Padre 1988 on the beach…we ended up going four years in a row in college.